WOW AIR has announced plans to launch a new service from London Gatwick to Pittsburgh, Pennsylvania in June 2017. Flights will operate via Reykjavik, from £119.99 one way. The inaugural service to Pittsburgh International Airport (PIT) will depart on 16 June 2017. The service will operate four times per week, year round, on Mondays, Wednesdays, Fridays and Sundays. The approximate total journey time from London Gatwick will be 11 hours, including stopover. 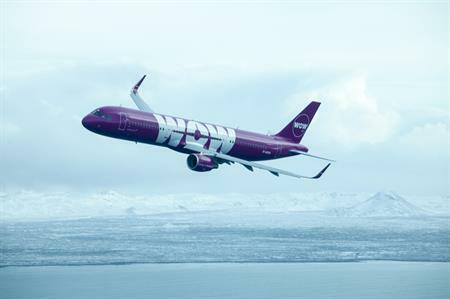 Founder and CEO of WOW air, Skúli Mogensen, said: "Making exciting new destinations accessible for travellers across the world at unbeatable prices is an integral part of our ethos at WOW air. Pittsburgh is certainly a destination on the rise and one that will appeal to a wide range of UK travellers looking to discover somewhere different, so we’re thrilled to add the destination to our route list. The past year has truly solidified our presence in the US, with a number of new routes launched and we look forward to continuing this fast rate of expansion."